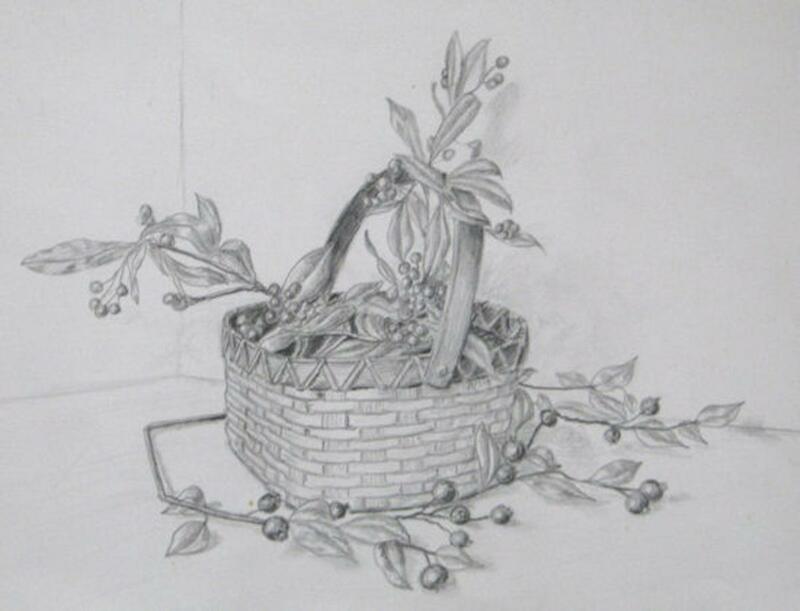 Pencil Sketch with Basket and Berries. This is a pencil drawing done for a basic drawing class I taught a while back. The idea was to show perspective, with angularity of the basket , It was also an exercise in working with soft lines to show a gentle or subtle change in tone or value. It seemed to work for the class. This was done with on Strathmore sketching paper with a series of graphite pencilss, ranging from 4H, to 4B. It was done from a photo I had found many years ago. This took about four hours to complete.